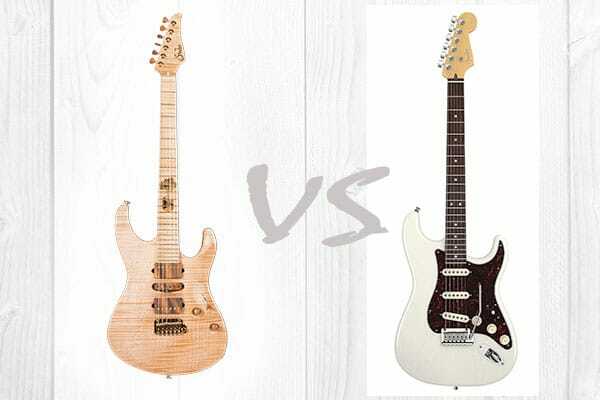 Trying to make the decision between a Suhr guitar and one from Fender? You aren’t alone, and there is so much to consider with both brands. Both companies make incredibly high quality guitars that sounds amazing. They also both have many positive attributes, as well as potential negatives to keep in mind as well. Let’s compare the two brands of guitars to see which one is a better choice for your needs and talents. What Are Suhr and Fender? What Makes Suhr Guitars and Fender Guitars Unique? The most important aspects of a review for us are being as honest and accurate as possible. To make this possible, we take a few additional steps when writing about a specific product. First, we make sure to read and research customer reviews and testimonials thoroughly. This allows us to get a better look at what the general public thinks of a specific product, and provides an unbiased view of customer opinions and complaints. It also allows us to inspect any potential widespread issues with a product or highlights that a lot of customers are really enjoying. On top of that, we ensure that we know every detail of the product specifications. That way, you know exactly what you are purchasing when you buy a product from one of our reviews. It also allows us to predict any potential shortcomings with the item as well. Lastly, we make sure to consider the reputation of the company making the products. It is very important for most customers that they purchase items from businesses they can trust and stand behind. For this particular review of Suhr guitars versus Fender guitars, we will be considering a few different features and qualities. Overall quality, sound, pricing and how it compares to the quality, aesthetics, and the company’s standing. First, let’s talk about the companies themselves, where they began and what products they offer. Suhr Guitars, which is officially known as JS Technologies Inc. is an American company that makes electric guitars and basses, effect units, and guitar amplifiers. They are based in Lake Elsinore, CA, and were founded in 1997 by Steve Smith and John Suhr. 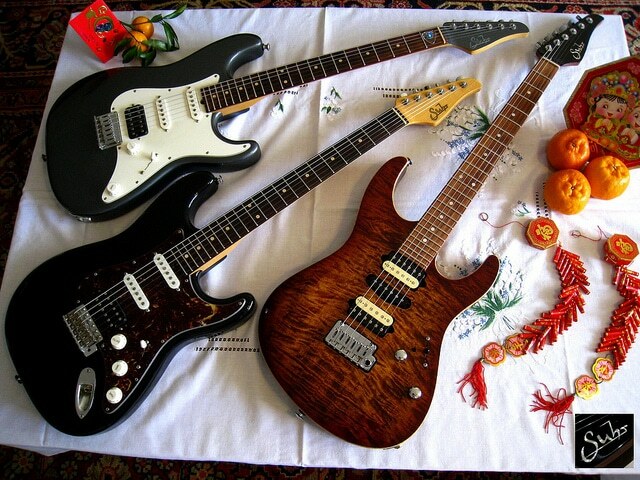 They have a wide variety of guitar models, and they are based on five different body shapes. They also have different series available. Suhr has the Classic, which is based on the Fender Stratocaster, the Classic T (based on the Fender Telecaster, and the Classic JM (based on the Fender Jazzmaster). 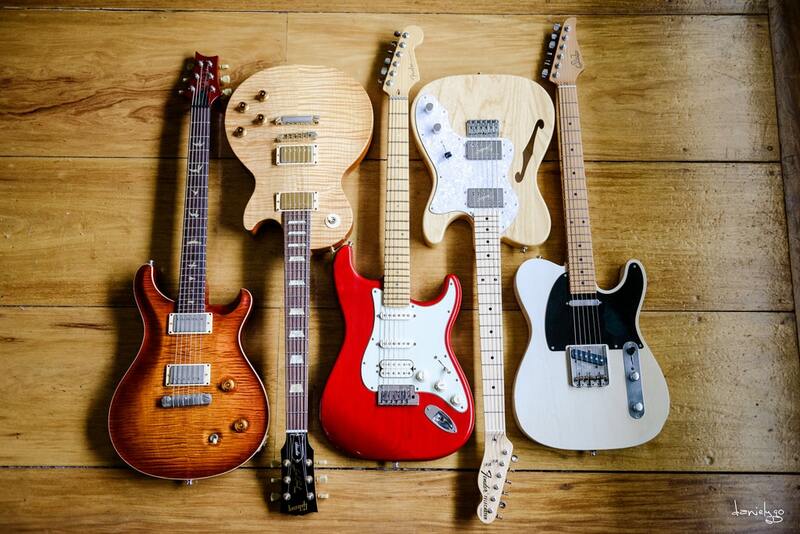 They also have the Standard (shaped like the Fender Stratocaster with Superstrat styling), Modern (a 24-fret Superstrat), Modern T (similar to the modern but with a body similar to a Telecaster), and Aura (based on the Gibson Les Paul). ​Fender Musical Instruments Corporation (FMIC), which is more commonly known as Fender, is an American company that makes stringed instruments and amplifiers. The company’s guitars are world famous and are some of the most recognized products in the world Fender was founded in Fullerton, California by Clarence Leonidas Fender in 1946. They also make electric basses, acoustic guitars, mandolins, electric violins, and banjos. 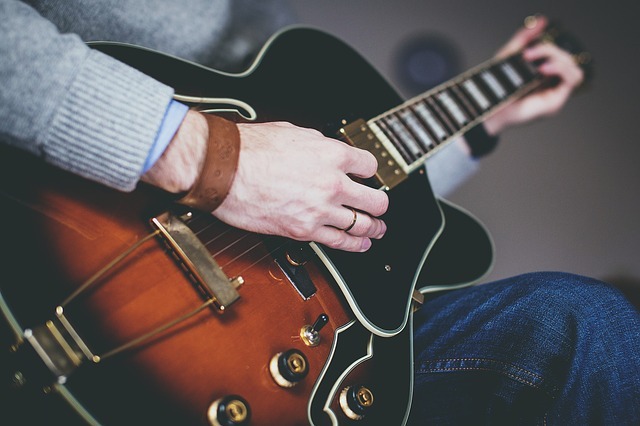 Fender brands also extend to include Squier, Charvel, Jackson, EVH guitars that are a collaboration with Eddie Van Halen, and they also manufacture and distribute Gretsch guitars under license too. Fender is most known for their solid-body electric guitars and bass guitars – the biggest names among them are the Telecaster (also known as the Tele), the Stratocaster (also known as the Strat), the Precision Bass (P-Bass), and the Jazz Bass (also known as the J-Bass). Now that we have looked at both companies and what they stand for, let’s talk about what makes them unique. ​There are many qualities that set the Suhr guitars apart from other brands. These guitars have extraordinary build quality. The sound is absolutely beautiful and has amazing clarity, and sound wonderful even when unplugged. Suhr also gives you endless amounts of options to create the perfect guitar for yourself. No matter what you want, the company can make it happen for you. They also have incredible customer service. No matter what your issue is, they will make sure to bend over backwards to fix it for you. Many famous musicians use Suhr guitars to make their music, including Pete Thorn, Andy Wood, Scott Henderson, and Dave Kilminster, among many others. Fender guitars are known for their contoured belly cut and double-cutaway body. This makes playing music incredibly comfortable and is one of the most unique features of the company’s guitars. Their guitars also have three versatile single-coil pickups to create a full-bodied, clear tone that can’t be replicated. Many very famous guitarists and bassists use Fender products too. Among them are Albert Hammond Jr. from The Strokes, David Gilmour from Pink Floyd, Buddy Holly, and Simon Neil from Biffy Clyro. Suhr offers a lot more custom options when it comes to guitars. They pride themselves on being able to make any design you would like, and with that comes very high prices. Between their premade guitars and the custom builds, you are going to spend at least a few grand for one of their guitars. Fender has an enormous variety of products, and that ensures that the pricing is going to vary drastically as well. They have fairly cheap designs that are only a few hundred dollars, and their more expensive builds are going to be upwards of a few thousand dollars. Now that we have looked at the features of both Fender and Suhr guitars, let’s compare how their customers feel about them. There are many positive reviews for Suhr guitars, and they have a vast customer base that has a lot to say about their products. Customers really love how well they are treated by Suhr’s customer service. Whether they need a simple problem fixed or a whole guitar replaced, most buyers online that have mentioned the company’s service has only wonderfully positive things to say. The last quality that users mentioned loving frequently was their sound. The bright, full sound is loved and cherished by many of their players, and many have stated that they can’t find that sound in any other brand or design of guitar. As far as negatives are concerned, users did mention a few of those as well. Having documentation that provided information to the user on standard maintenance for the guitar was something mentioned as a negative. Since customers are spending thousands and thousands of dollars on a custom build, most stated that they would have liked some details on how to specifically care for it too. Pricing was the other aspect of Suhr guitars that customers felt the need to mention as a con. They are extremely costly, and will definitely cost you more than the average electric guitar by a long shot. However, you are getting an extremely high quality product that is unique in every way for the price you will pay for it. Fender guitars have been around for a long, long time, and have a very dedicated, large fan base as well. Their customers are very vocal on the positives and negatives of their products, and you can find countless reviews of their opinions online. One of the favorite aspects of Fender guitars among users is how affordable a lot of their builds are. While this company does still have many more expensive, high-end guitars, you can also buy many of their products for less than a thousand dollars. These are fantastic beginner guitars and a great way to start your Fender collection without spending too much money. Customers also love and respect how long Fender has been creating quality musical instruments. Having decades and decades of experience and feedback behind them as a company, Fender has been able to perfect a lot of what they make. Their guitars are also very aesthetically pleasing, which customers really like. They are built to be comfortable and lightweight, and they still look beautiful. Fender guitars have many diverse looks and builds, but they are all stunning to look at. Those who play Fender guitars also have many positive things to say about the overall quality and sound of their designs. There is a reason that so many famous musicians have used Fender over the course of so many years. They are built to last and have an incredible, clear sound for making any kind of music you would like. There are a few negative aspects mentioned here and there about Fender products, but they are hard to pinpoint since there are so many different products that the company offers. The main complaint we saw from customers was simply that some of their cheaper designs don’t have as great of a sound as other products. This is to be expected, since they are not as high-quality as a more expensive model. Other than that, there were a few general comments about how much some of their more expensive designs were. Again, they have such a wide variety of guitars to choose from, that you can get one of their guitars in almost any range you would like. So now that we have looked at all of the features of each brand, as well as what their customers think of their guitars which one is best? This is definitely a difficult choice, and a lot of it will depend on personal preference. A lot of the Suhr guitars are based on Fender products, and both brands offer extremely high quality musical instruments. For custom guitars, we would probably recommend Suhr as our overall best choice. They are known for their amazing attention to detail, as well as being able to literally make any guitar that you would like. This is definitely something that cannot be overestimated, and their customer base has stated that they haven’t found any brand that compares to their quality. For brand recognition and premade guitars, we would probably go with Fender as our final choice. They have been around for decades, and really know what they are doing when it comes to making incredible guitars. Fender guitars are also used by many, many diverse music artists, making them a very popular and understandable choice for customers. Do you personally like Suhr or Fender guitars better? If you are on the fence about choosing one of them, which brand do you think you would like more?